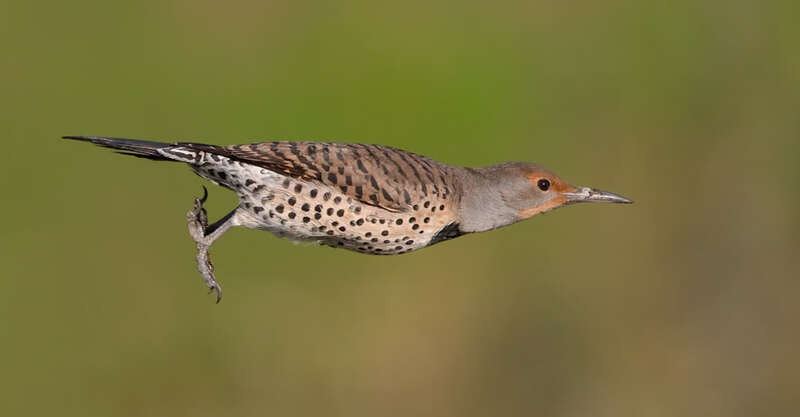 A Northern Flicker in flight ... between wing beats. Listen to BirdNote shows about Northern Flickers! Dark-eyed Junco - molting, and missing all but white tail-feathers!